This Demonstration constructs a triangle given the length of its base, the length of the altitude from to and the difference between the angles at and . Step 1: Draw a vertical segment of length . 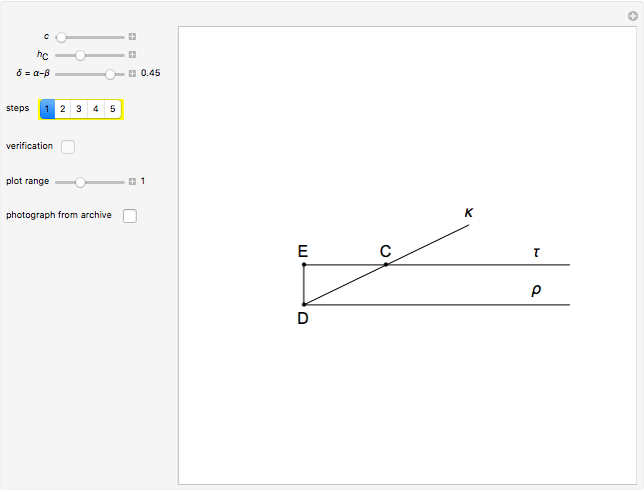 Draw two horizontal rays and from and , respectively. 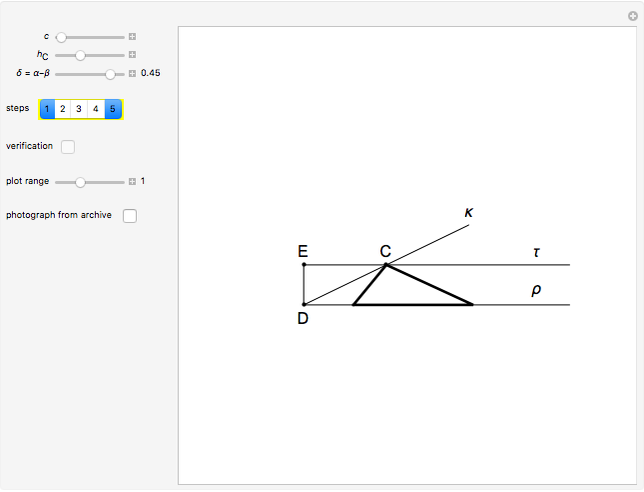 From , draw a ray at angle with respect to the ray . Let be the intersection of the rays and . Step 2: Draw a segment of length perpendicular to the ray . Step 3: Draw a circle with center and radius . The ray intersects the circle at and . Step 5: The triangle satisfies the stated conditions. 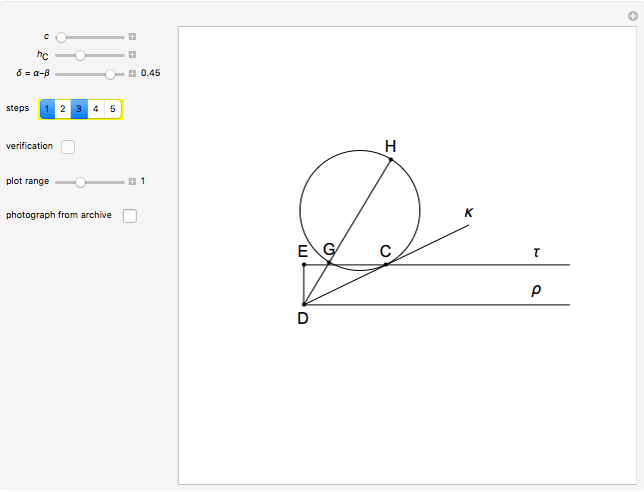 Draw the circumcircle of the triangle with center . Let the point be the foot of the altitude from . Then . By construction, the power of the point with respect to is , so by Euclid III.37 [1, pp. 15], is tangent to and as angles with orthogonal legs. So . For the history of this problem, references and a photograph of Plemelj's first solution, see The Plemelj Construction of a Triangle: 1. G. E. Martin, Geometric Constructions, Springer, New York, 1998. Izidor Hafner "The Plemelj Construction of a Triangle: 6"